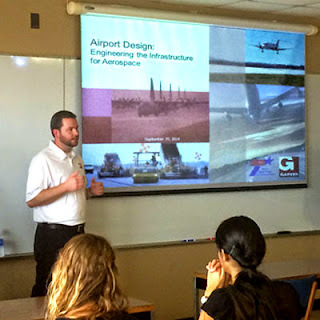 Garver recently teamed with the Texas Department of Transportation’s Aviation Division to present University of Texas engineering students with information on careers in airport design. 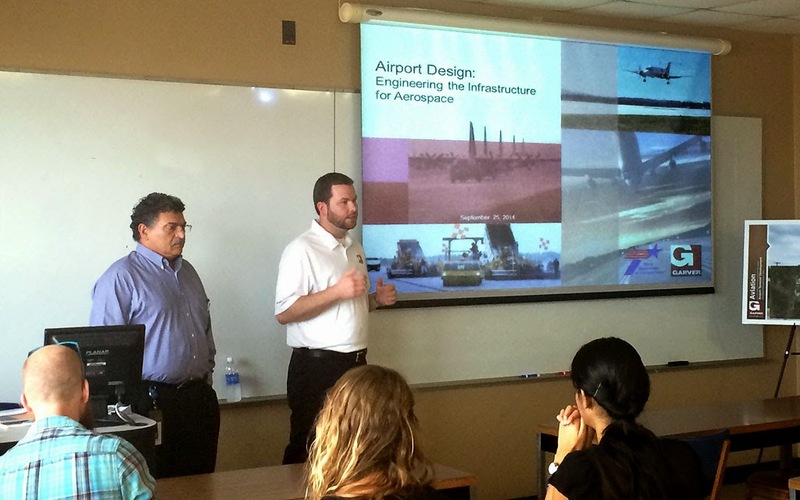 TxDOT Aviation Director of Engineering Bijan Jamalabad and Garver Aviation Team Leader Josh Crawford provided students with information about an area of transportation that goes unaddressed in most colleges and universities. Garver and TxDOT have established a relationship through working on many projects over the years, specifically 33 projects in 2014. This relationship continues to grow with last year’s opening of Garver’s Austin office, which is the company’s fourth Texas location, and through events like the UT presentation.